Secondary—Cancer spreads to the brain from another site in the body. The most common come from lung cancer . Astrocytoma and oligodendroglioma in adults. EBSCO DynaMed Plus website. Available at: http://www.dynamed.com/topics/dmp~AN~T116413/Astrocytoma-and-oligodendroglioma-in-adults . Updated July 2, 2018. Accessed July 26, 2018. 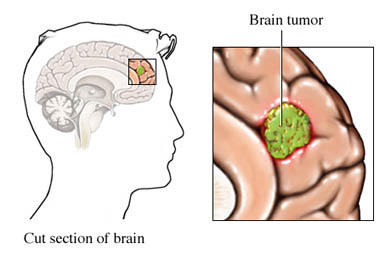 Glioblastoma. EBSCO DynaMed Plus website. Available at: https://www.dynamed.com/topics/dmp~AN~T116043/Glioblastoma . Updated July 2, 2018. Accessed July 26, 2018.